If you purchase only Stocking Mouse and Stocking Elf, a great discount will apply! 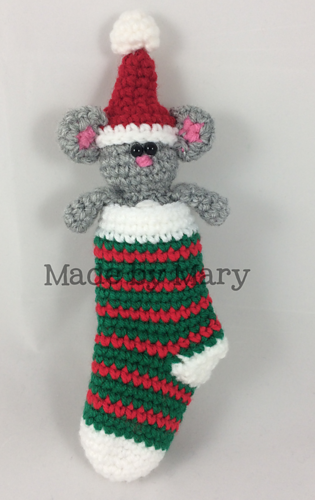 This sweet stocking mouse is sure to bring a smile to any face! 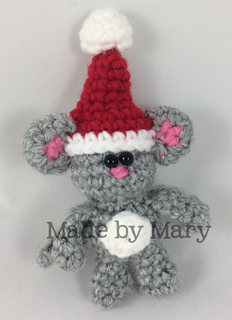 It is a wonderful holiday decoration or toy. 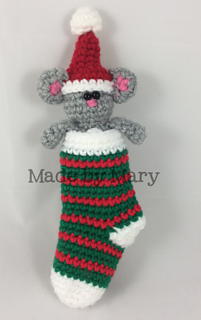 Instructions include pattern for boy or girl doll and stocking. Doll and stocking are made using amigurumi, working in the round. 6 pages, 9 photos and stitch count for every row, are included to help you finish your project.